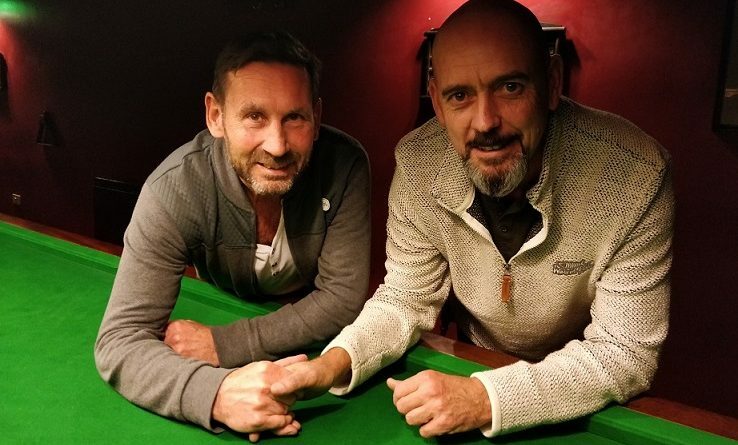 He pocketed £60 prize money after beating home player Paul Burt 2-0 in the final of the second leg at Salisbury Snooker Club on Tuesday. In fact, he didn’t drop a single frame all day. Aldershot Hotshot Snr Ray Mears was reported to have been “quite chuffed” after recording his highest ever Cuestars break of 37 in his group-stage victory over Nick ‘The Greek’ Miles. Both beaten semi-finalists qualified from tight groups on frames difference. Graham Wallace was knocked out 2-0 by Allen and Burt overcame Miles by the same score. Phil Morgan made a group-stage exit but remained top of the table, which also includes points earned by the players aged 55 or over on the Seniors Tour. He has a 12-point advantage over Allen, who is one ahead of Burt. Allen won the inaugural events in Salisbury and Chandlers Ford last season and kicked off the new campaign with victory at the Greenbaize Snooker Club, Bournemouth in October. ROUND-ROBIN GROUP A: 1st, Steve Allen (Totton Rec); 2nd, Nick Miles (Cue T’s, Marchwood); 3rd, Phil Morgan (Chandlers Ford SC); 4th, Ray Mears (Sovereign, Farnborough). ROUND-ROBIN GROUP B: 1st, Paul Burt (Salisbury SC); 2nd, Graham Wallace (Salisbury SC); 3rd, Stephen Hills (Traders, Northfleet); 4th, Herman Desmier (Bournemouth & District Constitutional Club); 5th, Terry Harbord (Bournemouth & District Constitutional Club). SEMI-FINALS: Allen 2-0 Wallace, Burt 2-0 Miles. FINAL (£50/£30): Allen 2-0 Burt.